We are a small cattery which breeds British Shorthair Cats since 2008. We are registered with FIFe international register and a member of the cats breeders’ society in Pilsen. 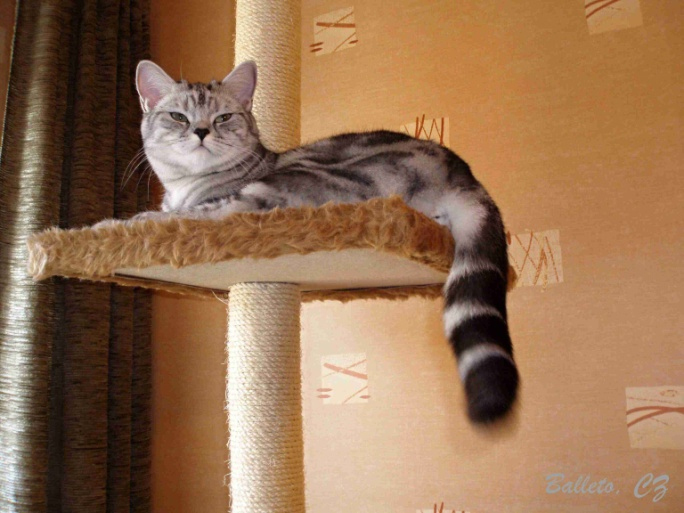 We breed British Shorthair Cats, black and silver marbled with green eyes. Our cats live freely with us in our flat, are regularly checked by our vet, vaccinated, wormed and tested on FeLV, FIV and FIP (negative). Our kittens have a pedigree – a guarantee that you have bought cat of a certain race. Our kittens leave our cattery at 14 weeks. They are socialized, used to live in a family and twice vaccinated against panleukopenia, calcivirus, chlamydia, rhinotracheitis and rabies. They also get few things for the first days in their new home. With the kitten the new owner gets its pedigree, vaccination certificate and a contract. British Shorthair belongs to the most popular cats in Europe. Its history reaches back even to the Roman period, when the Roman troops came to England. In England was also determined the standard of this race. 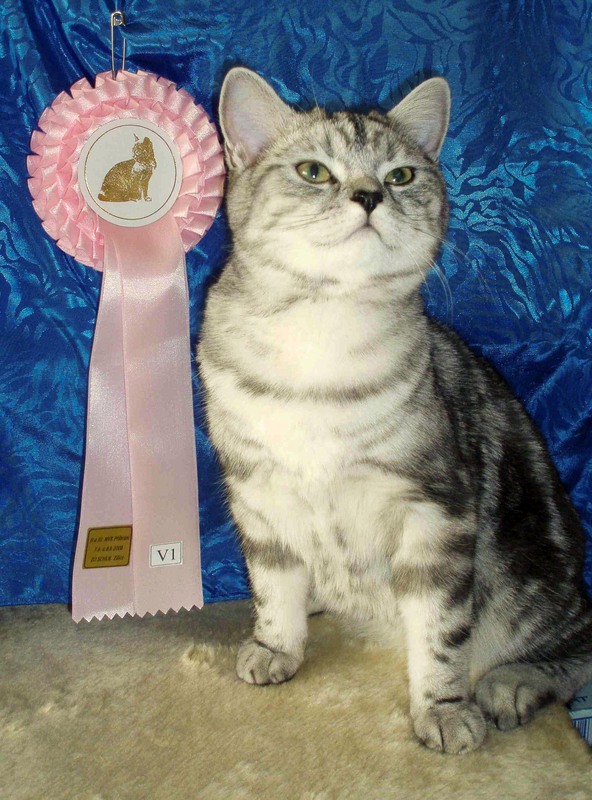 British Shorthair was later crossed with Persian Cat and this connection brought new colour versions of this race. British Shorthair Cats are rather robust, have a round head and thick limbs; their tail is thick with a round top. The fur is short, dense with a well – developed basis. British Shorthair is patient, tolerant and of a mild nature. They are not as noisy as the other eastern races. They love to be among “their” people, but they don’t require a permanent attention of a man.